Sunset Dodge Chrysler Jeep Ram FIAT in Sarasota, Florida is excited to show off our impressive Dodge lineup, each with a driver-friendly Dodge lease option attached! Whether you're looking for lower down payment, more flexible monthly payments, or access to the newest model year after year, a Dodge lease could be just what the doctor ordered. Visit our Sarasota, FL Dodge dealership today to get more information on our Dodge lease deals! With a Dodge lease, you'll have full access to the lineup at Sunset Dodge Chrysler Jeep Ram FIAT in Sarasota, FL like never before. 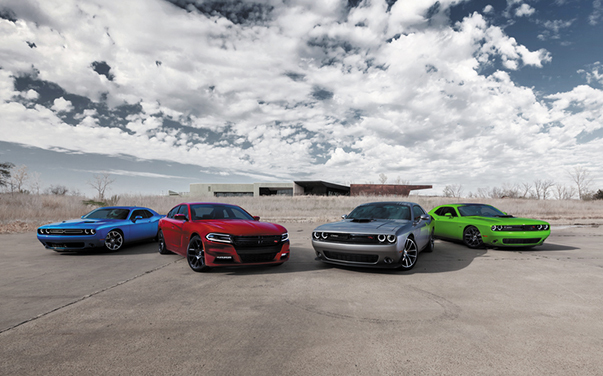 Try out the Dodge Charger and Dodge Challenger if it's American-made muscle you crave. If it's something more spacious and versatile, why not take a spin in the Dodge Journey SUV or Dodge Grand Caravan minivan? The options are aplenty here at Sunset Dodge Chrysler Jeep Ram FIAT. Hurry in today to schedule your test drive! Financing your vehicle is no sweat with help from the finance experts at Sunset Dodge Chrysler Jeep Ram FIAT in Sarasota, FL. Our Dodge lease options are great for many reasons, but their lower initial payment and increased payment flexibility stand out. If you're looking for outright ownership, we offer plenty of Dodge financing options with competitive auto loan rates. Reach out to our finance team today to learn more about leasing a Dodge and see why so many drivers are choosing that as their way into the finest vehicles on our lot.